Management is a purposive activity. It is something that directs group efforts towards the attainment of certain per – determined goals. It is the process of working with and through others to effectively achieve the goals of the organization, by efficiently using limited resources in the changing world. It helps in Achieving Group Goals – It arranges the factors of production, assembles and organizes the resources, integrates the resources in effective manner to achieve goals. It directs group efforts towards achievement of pre-determined goals. By defining objective of organization clearly there would be no wastage of time, money and effort. Management converts disorganized resources of men, machines, money etc. into useful enterprise. Optimum Utilization of Resources – Management utilizes all the physical & human resources productively. This leads to efficacy in management. Management provides maximum utilization of scarce resources by selecting its best possible alternate use in industry from out of various uses. It makes use of experts, professional and these services leads to use of their skills, knowledge, and proper utilization and avoids wastage. Reduces Costs – It gets maximum results through minimum input by proper planning and by using minimum input & getting maximum output. Management uses physical, human and financial resources in such a manner which results in best combination. 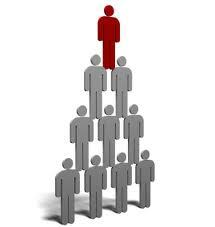 Establishes Equilibrium – It enables the organization to survive in changing environment. It keeps in touch with the changing environment. With the change is external environment, the initial co-ordination of organization must be changed. So it adapts organization to changing demand of market / changing needs of societies.